If you can't get enough of flying saucers or you want to give your self nightmares about close encounters or alien abduction, then these are the ten best, must-see films for any ufologist. Do you know a flux capacitor from a time vortex? Do you know which steps to take to prevent a paradox? Test your knowledge of time travel in science and popular culture in this tricky quiz which would test even a Time Lord's abilities in temporal mechanics. Cursed movie sets are up for discussion in this Top 5 Darkest video. Throughout cinematic history there have been claims of cursed sets or productions, either through the films subject matter or past events which occurred on set. We take a look at some of the creepiest plagued film sets and productions in our top 5 list of cursed movie sets. 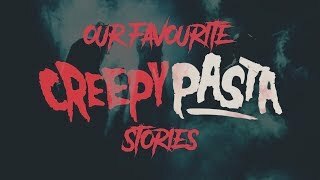 Nearly Since the birth of film came the horror genre, giving us over a hundred years of scary movies, all from the imaginary of talented writers, but through the years, some of our classic horror films are actually based on true events, In this video we are discussing 5 horror films that were based on true terrifying events. Paul Feig has managed to throw in just the right amount of brilliant mixed with some throwbacks and cameos that will have fans whooping in their seats. "30 years ago four scientists saved New York" but based on the reaction to the trailer on YouTuber, the classic spooky ghost busting franchise should have stayed in the past. Gary Jay spends a night in a seemingly normal council house in Yorkshire, but in 1974 the family living there was said to be tormented by a poltergeist. It was a new low for Barry Dodds in this week's episode of The Parapod when he tried to convince Ray Peacock that the fictional movie 'The Babadook' is cursed. Probably the most famous paranormal researchers of all time. The husband and wife team investigated such cases as Big Foot and the Amityville haunting, and have been portrayed in the horror movie, 'The Conjuring'. For me the music alone gave me goosebumps while the rest of the trailer has got me totally pumped in anticipation of the movie, like any good trailer should but I'm sad to see that on the whole the teaser has received a negative reception. The trailer video on YouTube currently has double the amount of dislikes and likes and the comments are full of criticism. We're halfway through the first series of The ParaPod and it's still a stalemate. 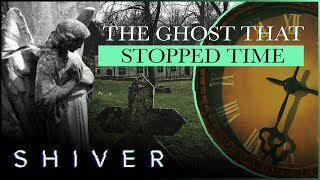 Ray Peacock is still refusing to believe in the paranormal and Barry Dodds is still convinced that ghosts exist. In this episode Barry tries to change Ray's mind with the story case of Doris Bither. The international best selling 50 Shade book series references a whole list of music reflecting the taste of Anastasia Steele and Christian Grey. I need to put some serious thought in to this year's Christmas movie schedule. Is today Back to the Future Day? No, it's not. The 5th July 2010 was never mentioned in a Back to the Future movie. Will I Become A Ghost When I Die?